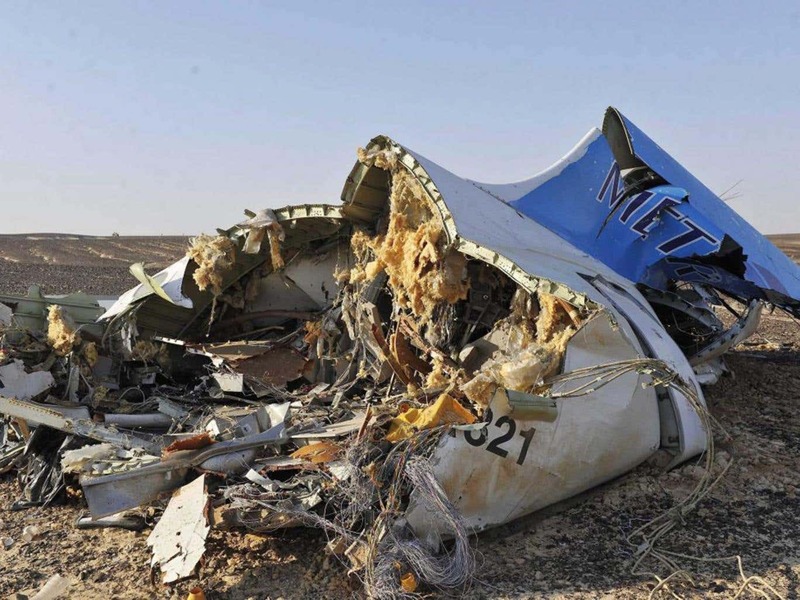 Aviation Updates Philippines - A Russian airliner, MetroJet Flight 9268 crashed in Sinai Peninsula on Saturday morning. According to news reports, the Airbus A321 aircraft carrying 224 passengers and crew took off from Sharm el-Sheikh at 3:58 GMT heading to St. Petersburg. "Disintegration of the fuselage took place in the air, and the fragments are scattered around a large area (about 20 square kilometers)," Viktor Sorochenko, Executive Director of Russia's Interstate Aviation Committee, told journalists, according to reports. The aircraft disappeared from the radar screens at 6:20 AM local time currently flying at 31,000 feet over the area of Arish. According to the data by FlightRadar24.com, the plane descended very quickly at 6,000 feet per minute. “It was climbing quite normally when after 23 minutes when it passed 30,000ft it suddenly started to lose speed,” analyst Mikail Robertson told the BBC. An official from the Aviation Safety Committee said that the pilot radioed the Air Traffic Control to report a technical problem. The pilots also planned to make an emergency landing to the nearest airport. This all happened before the plane lost contact from the radar. Aviation Safety Network, a website providing accident reports, showed that the same plane - but operating with the other airline - had a tail strike incident upon landing Cairo International Airport (CAI), Egypt. It sustained damage but was repaired. However, these reports are currently being investigated. According to experts, the Isis-linked group is not capable of downing the plane at that kind of high altitude. Incident taken place at an altitude of 30,000ft.As per the reports accident happened because of a mechanical failure.But don't know the exact reason behind and Russian authorities are trying to figure Incident taken place at an altitude of 30,000ft.As per the reports accident happened because of a mechanical failure.But don't know the exact reason behind and Russian authorities are trying to figure out the reason.out the reason.